Want To Bring Back That Youthful Glow and Tighten Your Skin? It is natural for old skin to sluff off and for new skin to appear. Sometimes through pregnancy, medications, dehydration, and age, our skin doesn’t sluff off as quickly as it did when we were younger. With age, our skin gets drier, and portions of the skin get trapped in the wrinkles, compounding the problem of sluffing as we age. Microdermabrasion is used to help get rid of those old dry layers of skin and help to bring in the new vibrant skin that has been hiding for a while. Q – Who can get benefit from microdermabrasion? A – There is no age limit. If you are looking to restore a youthful look, you can benefit. 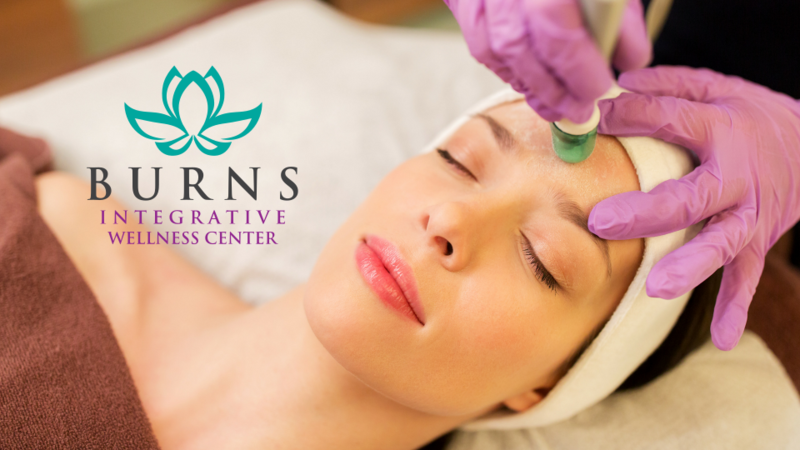 Q – Is there any downtime after getting a microdermabrasion treatment? A – There is no downtime. You can come in during your lunch break to get your microdermabrasion treatment and then go back to work or any other regular activity. Q – What type of tips do you use? A – We use diamond tips. We have found that the diamond tips work best to exfoliate the skin. Q- How long does each session take? A – Sessions typically take between 10-15 minutes. Q – Is There Anyone Who Should Not Consider Microdermabrasion? A – If your skin doesn’t heal well or if you are pregnant, microdermabrasion may not be for you. Talk with your doctor first if either of these is a concern.